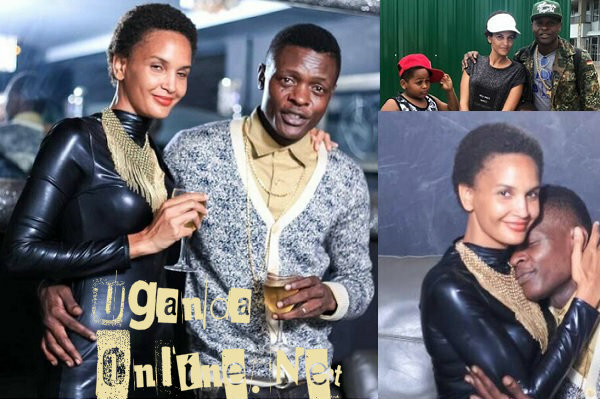 Contrary to rumors that my wife Daniella and I have parted ways, We are still and will always be together in marriage and most importantly happy even when am away on my Australia tour 2017." "I am not the man you sought and I apologize for wasting your time. Thanks Daniella Atim Mayanja, Mama Abba, Mayanja Iam glad to be single again, I guess you are too!!! I promise to be a great Father and friend." The Sweet Banana singer has come out to say that this was the works of the team he gave his passwords to update his social network accounts to the time leading up to the recently concluded Hit-After-Hit concert. He went on to say that he deleted the message the moment he learnt of the post. Details of his post below. "In June I entrusted a friend with my passwords to all my accounts on different Social Media platforms to help me as we promoted the #LEGEND concert. They have have been running smoothly until early this morning when my Facebook got spammed by malicious person(s). Yesterday 2nd August 2017, Some ill intended people accessed my Facebook account and page on which they made a very disturbing update post purely intended to not only distract my family, but fans at large. They tried to damage by portraying that I walked out on my wife Daniella. Which is not true!!! I after receiving many calls from concerned ones I responded by deleting the post, recovering and securing my page and account. Just like anybody else would do. On behalf of my Family and fans, I use the same platform to apologize for the damage caused and God willing the one responsible will be put into light.